You will Watch Star Wars Rebels Season 2 Episode 19 online for free episodes with HQ / high quality. Stream cartoons Star Wars Rebels Episode 32 While on a Ghost crew mission to steal fuel, Chopper steals a replacement strut for his original leg. Chopper is separated from the Ghost crew and finds himself stranded on an Imperial fuel transporter. 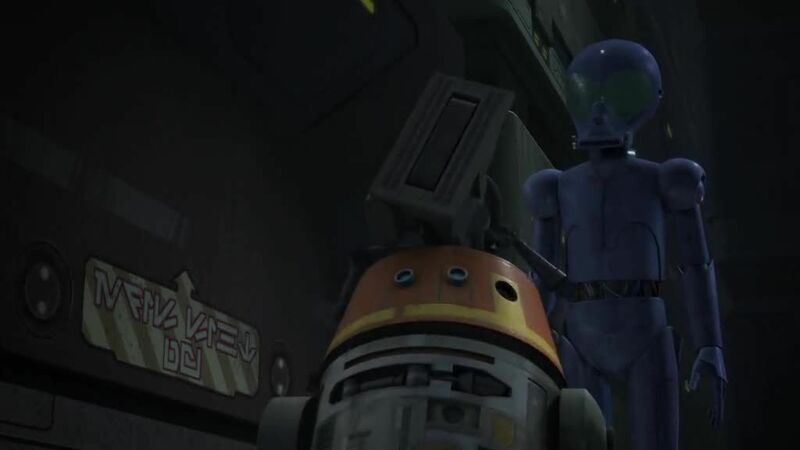 The grumpy astromech is discovered by an unappreciated inventory droid in service of the Empire, but they become friends during Chopper’s attempts to escape. The droid ends up sacrificing himself to help Chopper and warn the rebels of an Imperial trap. Fortunalely the Ghost crew are able to repair the droid with parts from the replacement leg that Chopper had stolen.